“The theologians in the early church tried to describe this wonderful reality that we call Trinity. If any of you have ever been to a Greek wedding, you may have seen their distinctive way of dancing . . . It’s called perichoresis. There are not two dancers, but at least three. They start to go in circles, weaving in and out in this very beautiful pattern of motion. They start to go faster and faster and faster, all the while staying in perfect rhythm and in sync with each other. Eventually, they are dancing so quickly (yet so effortlessly) that as you look at them, it just becomes a blur. 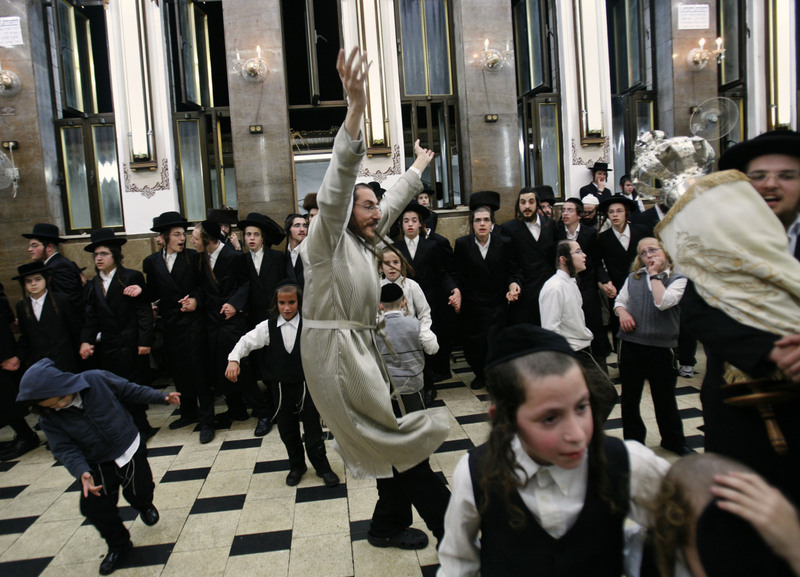 Their individual identities are part of a larger dance. The early church fathers and mothers looked at that dance (perichoresis) and said, “That’s what the Trinity is like.” It’s a harmonious set of relationship in which there is mutual giving and receiving. This relationship is called love, and it’s what the Trinity is all about. “From all eternity, God is not alone and solitary, but lives as Father, Son and Spirit in a rich and glorious and abounding fellowship of utter oneness. There is no emptiness in this circle, no depression or fear or insecurity. The Trinitarian life is a great dance of unchained communion and intimacy, fired by passionate, self-giving and other-centered love, and mutual delight. This life is good. It is right, unique, full of music and joy, blessedness and peace. There is more, much more to understand and to ask for. And, God’s dance card has your name on it…. Get ready for heavenly choreography! There are more similarities to the footwork than you would think. Both activities use the same muscle groups and require similar skills. They even share some of the same injuries. 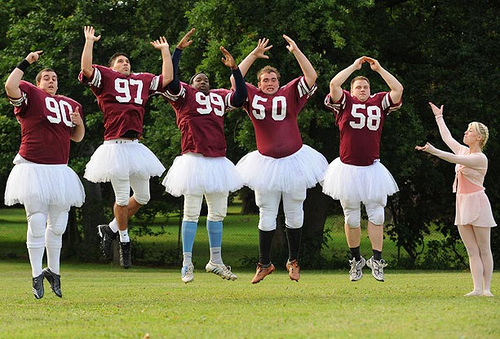 What can football players gain by practicing ballet? Mental Focus – to follow complex plays, track the position of the ball in the air and make decisions on the fly. Endurance – to strengthen their heart and circulatory systems enabling intense muscular work with less tiring. 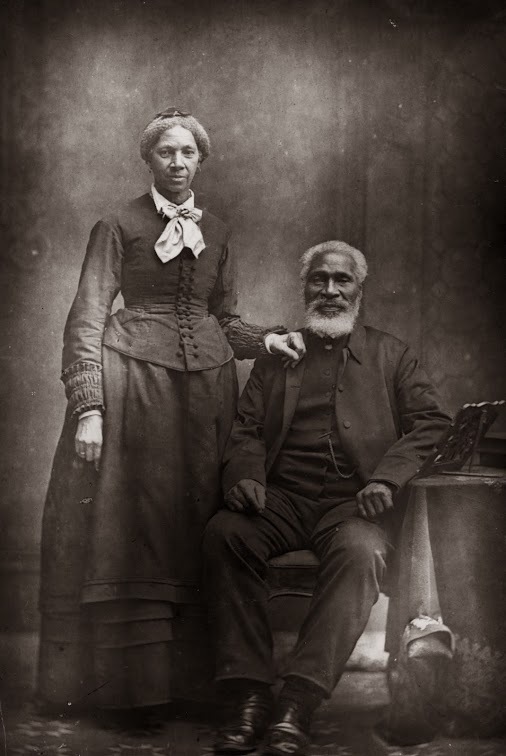 It was an autumn morning when Josiah Henson first set foot on Canadian soil after a grueling journey with his wife and four children. A staunch Methodist preacher, Henson founded a settlement for former slaves in Dawn Township near Dresden, Ont., and worked to help others escape the U.S. South via the Underground Railroad. But he’s perhaps best known as the inspiration for the main character in Harriet Beecher Stowe’s Uncle Tom’s Cabin, an abolitionist novel often said to have helped start the U.S. Civil War. The Shoe Project is a writing workshop that enables women new to Canada to share life stories based on their memorable shoes. 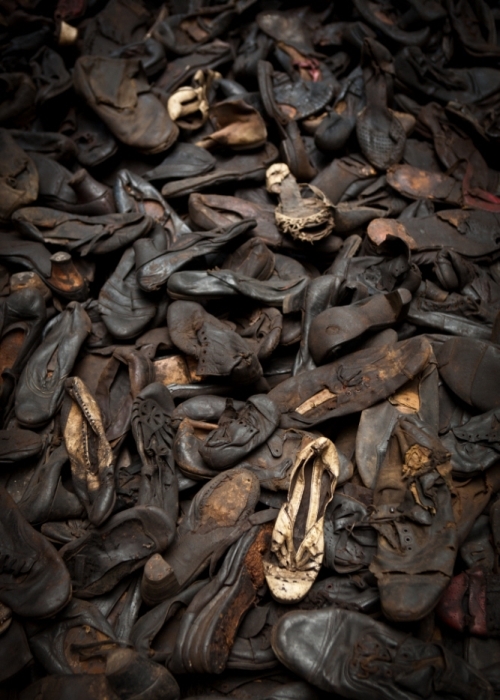 The workshops, led by award-winning author Katherine Govier, are held at the Bata Shoe Museum in downtown Toronto. miles and miles to arrive here. the room smelled like feet. An immigrant might kiss the ground of a new homeland. In the Old Testament, the Israelites marked their gratitude by standing on the boundary of their new land in the presence of God. Later, they honored the memory with stones from that unusual place. Now the Jordan is at flood stage all during harvest. Yet as soon as the priests who carried the ark reached the Jordan and their feet touched the water’s edge, the water from upstream stopped flowing…. The priests who carried the ark of the covenant of the LORD stood firm on dry ground in the middle of the Jordan, while all Israel passed by until the whole nation had completed the crossing on dry ground…. Then the LORD said to Joshua, “Command the priests carrying the ark of the Testimony to come up out of the Jordan.” So Joshua commanded the priests, “Come up out of the Jordan.” And the priests came up out of the river carrying the ark of the covenant of the LORD. No sooner had they set their feet on the dry ground than the waters of the Jordan returned to their place and ran at flood stage as before…. One of God’s many covenantal promises was to provide a homeland to Abraham’s descendants. It wasn’t a straightforward inheritance. His promise was eternal, but He delayed its fulfillment. As God revealed Himself to successive generations through Isaac and Jacob, He looked for faith and obedience in the hearts of His chosen people. It took a long and circuitous journey to get to the Promised Land. The nation of Israel endured the parallel physical and spiritual enslavement and much wandering. But a promise is a promise. In this passage, a more obedient generation finally arrives in the Promised Land. God stands on His promises; He keeps them. You can count on that. From: Sandhu, T.J. (2013). Walking with God: Praying through footwork metaphors in scripture. Unpublished manuscript.